WCCLS Kids: International Children's Book Day!! Every year on the birthday of Hans Christian Andersen, the International Board on Books for Young People (IBBY) sponsors the International Children's Book Day (ICBD). It is a day when lovers of children's books all come together to celebrate books from around our great big world! This year, the US chapter of IBBY (called USBBY) was selected to develop supporting material for the International Children's Book Day. They created a beautiful poster featuring a poem by Pat Mora and pictures by Ashley Bryan. Click on the image to the left to see the poster enlarged and to read the poem. For a super-fun international book experience, check out the International Children's Digital Library. It is an online eBook platform that was created over 10 years ago by a group of folks at the University of Maryland working together with the Internet Archive. 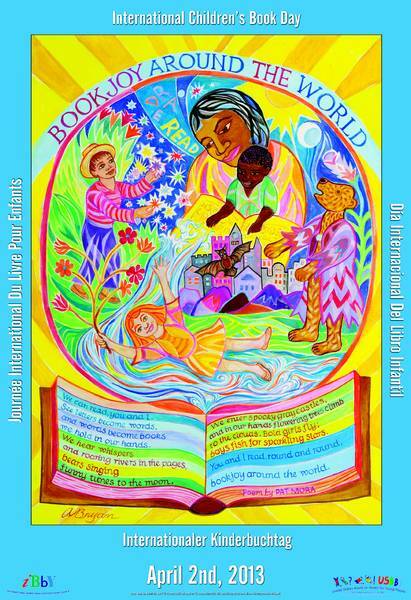 Click image to visit the International Children's Digital Library!! 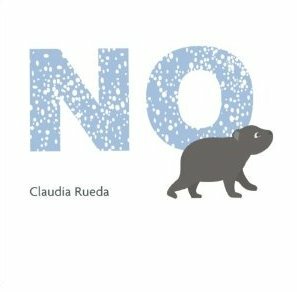 Here is a short list of some recent international picture books I have enjoyed. Many were originally published in a language other than English. 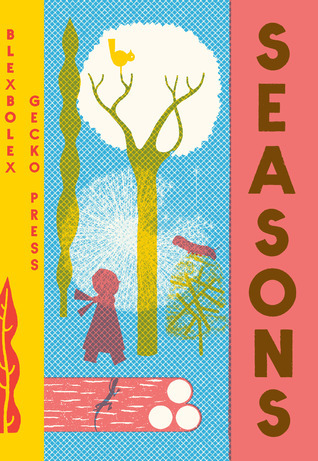 Screen prints show the beautiful flow of the seasons. Each page includes a fun vocabulary word! 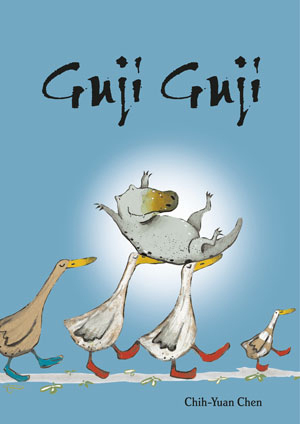 The wonderful tale of a misplaced egg, a group of mean crocodiles and the world's first crocoduck! 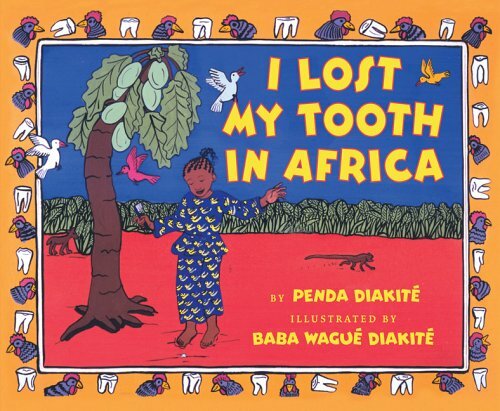 A fun story of a young girl who visits Mali with her family and looses her tooth in the process. 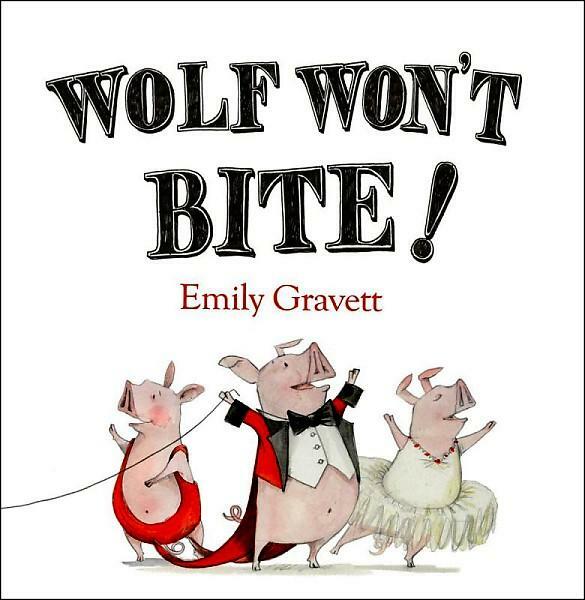 Three pigs host a circus and show off all things they can make the wolf do! They are quite sure he won't bite. I'm not so sure, myself. 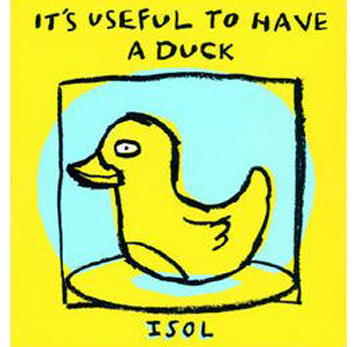 A young boy tells just how useful it is to have a duck. Flip the book over and hear from the duck about how useful it is to have a boy!! 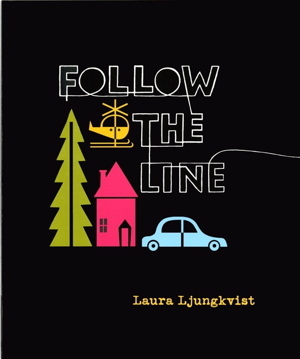 A line travels all over the world and invites the reader to explore all kinds of fun stuff! 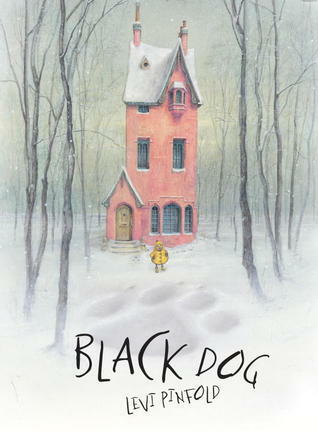 A giant black dog shows up outside a family's home terrifying everyone except for one young child. Title: To Market! To Market! A rhyming tale of a little girl's trip to the market to buy whatever she wants! Even though winter is coming, little bear doesn't want to hibernate because he would have to stop playing! 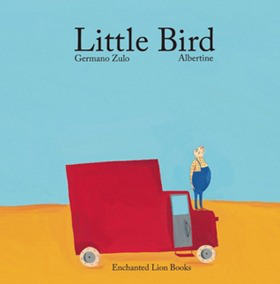 An extremely sweet tale of a van driver who tries to teach a little bird to fly away.